Suntricity is an award-winning company based in Pacific Palisades, California that designs and installs solar electric systems in residential and commercial buildings. The company was founded by highly experienced engineering and construction professionals who share a deep personal commitment to the development of alternative and clean energy for our planet. Joyce Brunelle, President and co-founder of Suntricity Inc., combines nearly a quarter century of experience in the construction industry and development with a deep concern for the environment and a passion to promote meaningful solutions to helping to address our energy and environmental problems. Prior to the launch of Suntricity, Ms. Brunelle was a principal in Brunelle Construction Group Inc.and has extensive experience in the construction contract administration, project scheduling, employee relations and marketing. Ms. Brunelle also was responsible for entitlement and permitting on a number of real estate new tract development projects on the West side of Los Angeles with a combined total of $50 million dollars. 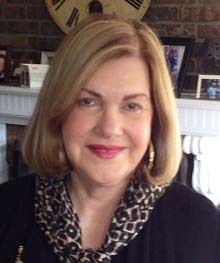 In addition to her professional background in real estate and construction, Ms. Brunelle has been active in a wide range of community organizations. She serves on the boards of the local Public Safety Commission and the Community Counsel, and is a member of the board of the Palisades Chamber of Commerce. Ms. Brunelle is often asked to speak about solar power before business and community organizations. Ms. Brunelle previously worked as a political fund raiser and began her career as a school teacher. She holds a Master�s degree from the University of Southern California, and earned a Bachelor of Arts degree from Whittier College. Michael Brunelle COO and co-founder of Suntricity has 30 years of experience as CEO of Brunelle Construction Group Inc. Brunelle�s experience runs the gamut of overseeing the construction of hotels, theaters, buildings, including The Ritz Carlton Hotels, The Beverly Hills Hotel, The BelAir Hotel, The Riviera Country Club , projects through out France, Spain , England and recently the completion of a new $27,000,000 housing subdivisions in Pacific Palisades CA. Suntricity has allowed him to combine his passion for saving and protecting the environment with his skills as an electrical engineer. He has successfully designed and engineered many commercial properties employing the newest in Green Technologies. As an builder and engineer who has a passion for saving and protecting the environment he has stated that attitude starts at the top and holds that we are only stewards on this planet that everyone is responsible to leave it a little better for our children. He holds several California Licenses including C-10 Electrical Contractors license a B-1 General Contractors license plus the C-46 Solar Contractors license. For the last 30 years he has designed, built and constructed multi million dollar buildings and homes around the world and the Los Angeles area where Suntricity is based. He specializes in Renewable energy, energy conservation and new lighting techniques. Michael is a MIES (member of the illuminating engineer�s society) a member of the Union of Concerned Scientist and is a graduate of UCLA School of Engineering. Emil is CEO of Suntricity and a Geochemist who considers himself an Earth Doctor. He has developed techniques for measuring the pollution off the California coast, plus studied paleo climate change and oceanography. As an environmentalist, his goal is to reduce, reuse and conserve our natural resources. He is a graduate of UCLA with degrees in Chemistry and Geochemistry. As Director of sales and business development for Suntricity, he is in charge of brand awareness and solar expansion for Los Angeles. 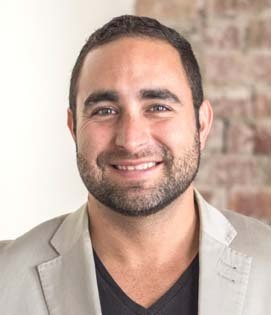 On top of his 10+ years of real estate sales and marketing experience, Federico also holds a LEED green associate accreditation from the USGBC (US Green Building Council) and is a certified solar energy practitioner by the state of California. He considers working in the green industry a privilege more than a job and his primary goal is customer satisfaction. Currently as Director of Sales for Suntricity, he heads marketing and brand identity for getting solar installed in the Southern California area. His 23 years of sales and public relations experience has increased his contact base in both the commercial and residential industries. As Director of Sales, Mariano Shulman continues to provide the communities he services with the utmost care, satisfaction and enthusiasm. Mariano believes that good business starts with good products and an honest perspective of the possibilities for the customer. In 1999, Mariano Shulman founded Art Mural Studios, Inc.. As Sales and Creative Director, he collaborated with the client�s vision, the artistic style and oversaw the custom murals for their hotels, restaurants and luxury homes. Following, in 2004, he started Master Craft Paint Studios, Inc. where he expanded the hand-painting genre with specialized finishes and stains for detailed cabinetry and interiors.